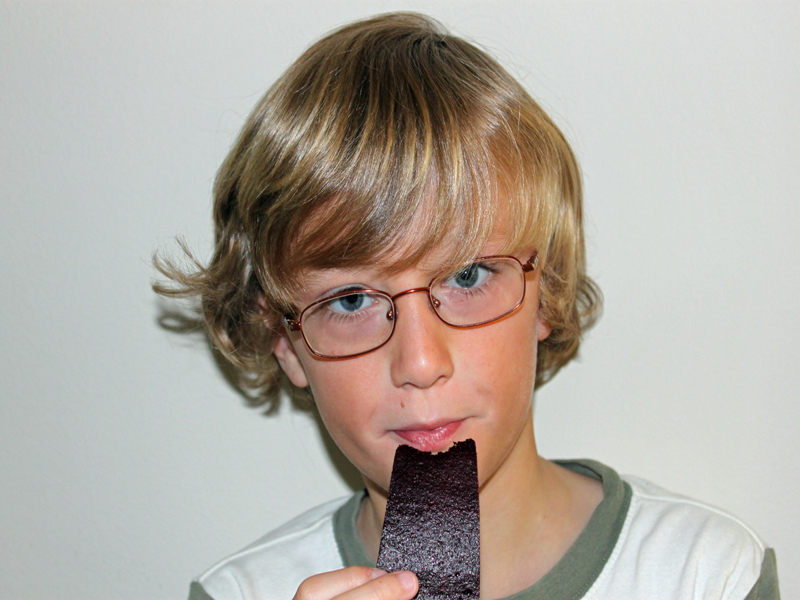 Does your kid love fruit snacks of the roll-up variety? The problem with most of these type of snacks is that they're full of artificial colors and flavors, and loaded with sugar and preservatives - not to mention they are prepackaged in non-recyclable packaging. Instead, you can make your kids organic fruit roll-ups at home with the freshest, whole ingredients and without the added sugar. Read on to learn how to make these fun summertime snacks in just a few short steps. 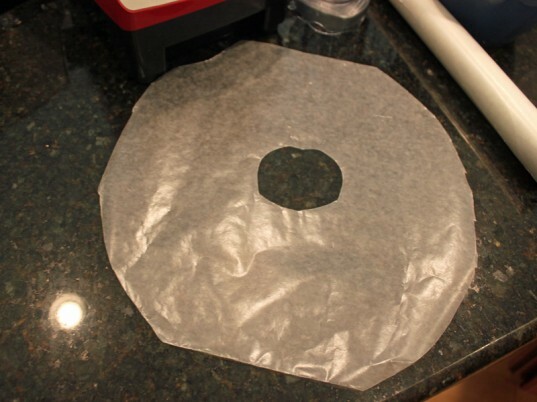 Have your child trace the food dehydrator tray and cut out circles of wax paper to fit on each tray. Cut a hole in the center of the wax paper so that it fits nicely on each tray. 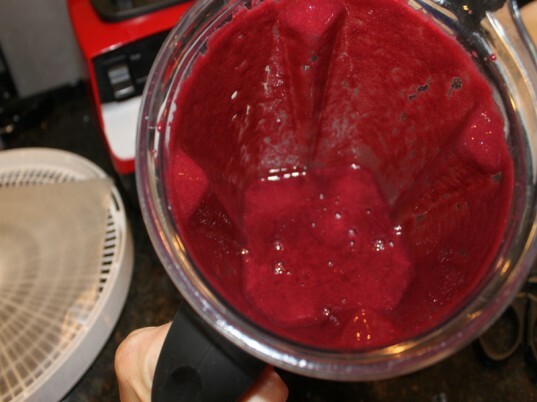 Add your fresh organic fruit and water to a blender or food processor and mix until the fruit is a liquid. Blend longer to completely pulverize the seeds if your little one doesn’t like the taste of them. You can add a small amount of lemon juice and sugar to amp up the flavors of the fruits if you like. We liked the fresh, tart taste of the berries so we didn’t add any sugar. Pour a 1/4 inch thick layer of fruit spread on each of the trays. Have your child use a spatula to even out the layer. 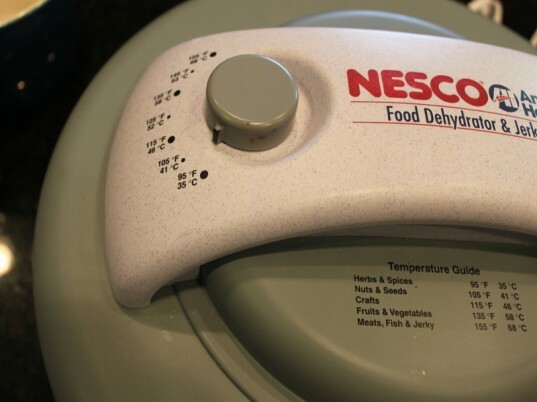 Place the trays back on the food dehydrator, place the lid on top and plug in the dehydrator. 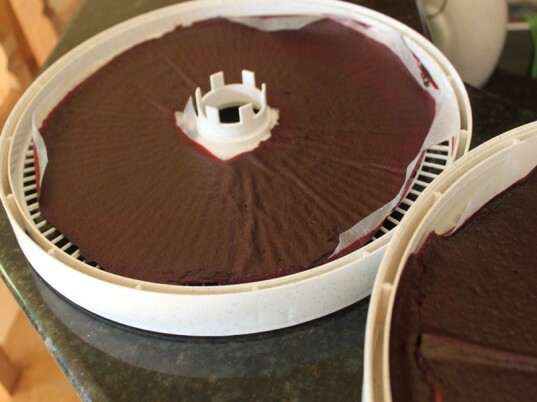 Allow the fruit roll-ups to dry in the dehydrate at 100­º for 8-16 hours depending on the climate that you live in and the consistency that you like your fruit roll-ups to be. You will want to check on them periodically so you don’t over dehydrate them. Unplug the dehydrater and remove the trays. 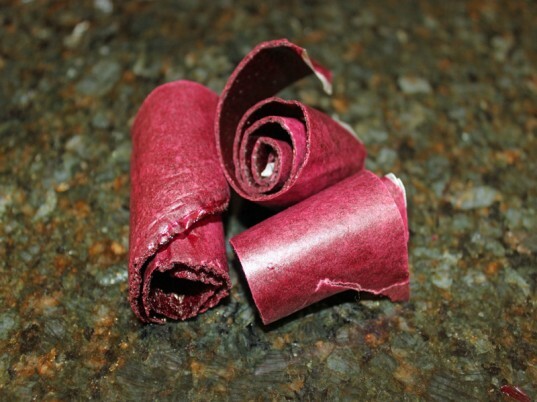 Using your clean and sanitized kitchen shears carefully cut the fruit roll-ups into strips. 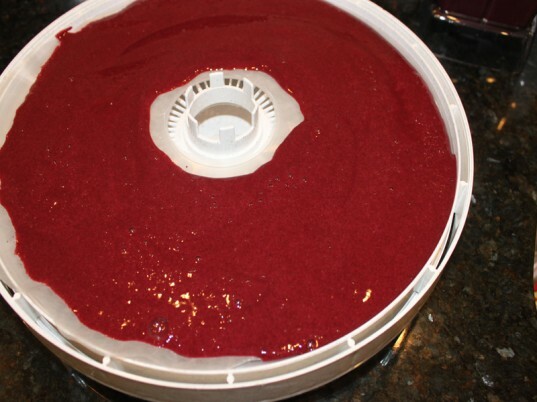 Roll them up and store the fruit roll-ups in a air tight container. Watch your child delight in eating a snack that they prepared (almost) by themselves. My son loves these and says that they melt in his mouth making them the perfect summertime snack. 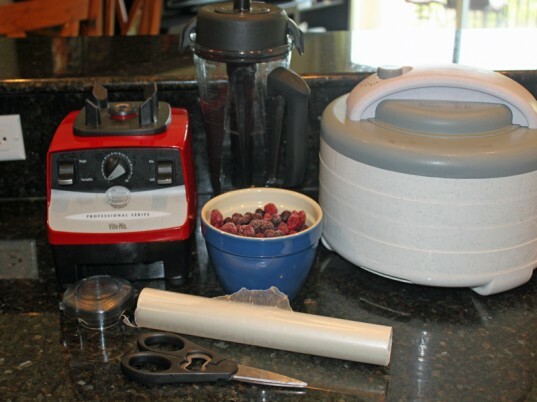 Add your fresh organic fruit and water to a blender or food processor and mix until the fruit is a liquid. Blend longer to completely pulverize the seeds if your little one doesn't like the taste of them. You can add a small amount of lemon juice and sugar to amp up the flavors of the fruits if you like. We liked the fresh, tart taste of the berries so we didn't add any sugar. 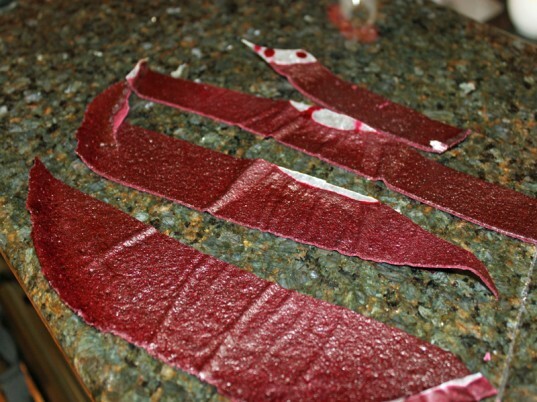 Allow the fruit roll-ups to dry in the dehydrate at 100­º for 8-16 hours depending on the climate that you live in and the consistency that you like your fruit roll-ups to be. You will want to check on them periodically so you don't over dehydrate them.